Once Upon A Time In Mumbaai Again stars Akshay Kumar, Imran Khan, Sonakshi Sinha & Sonali Bendre in the lead roles. 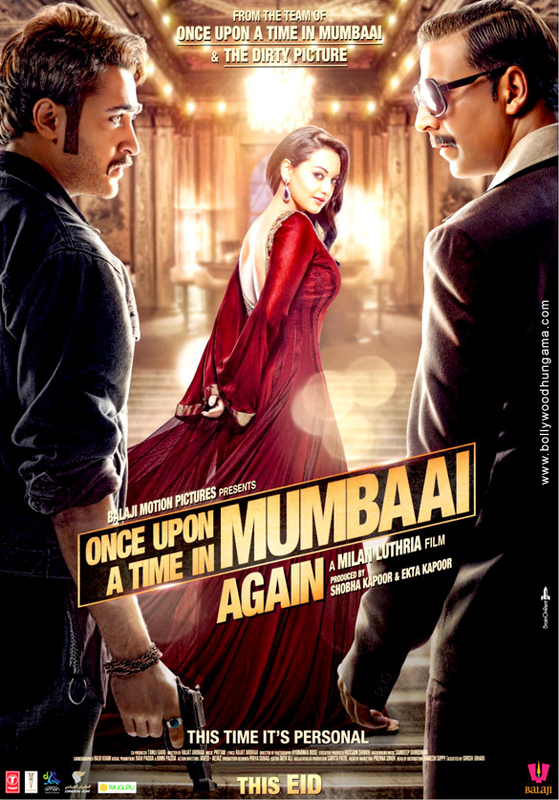 Once Upon A Time In Mumbaai Again is directed by Milan Luthria and Produced by Ekta Kapoor & Shobha Kapoor for Balaji Motion Pictures. Initial Release Date of Once Upon A Time In Mumbaai Again – 15th August 2013 on the occasion of Ramzaan Eid.